As soon as I read the synopsis of this book I knew I was going to devour it. There is just something about Mr. Giammatteo’s portrayal of his characters that makes the whole story feel so very real. Zeppe Mangini paced the busy sidewalk while nursing a cappuccino. He felt it was a sure sign that the world was falling apart when people sold cappuccino in paper cups, but he sipped the drink to draw warmth and to make himself appear busy. Every few steps he glanced across the street to the apartment at 1255. Tommy Nunzio had lived there since he was a kid. Tonight he would die there. Zeppe finished his cappuccino, waited for a break in traffic, then half-walked, half-jogged across the street. The horn from a souped-up Camaro blared as he reached the sidewalk. He tugged on his cap, covering a full head of coal-black hair, then nodded to his brother, Dominic, standing by the front steps. They walked into the building and climbed the stairs to the third floor. Zeppe cringed with each groan of the old wood, bringing back images of him and Tommy as little kids, and Mrs. Nunzio hollering at them, warning them about playing on steps. Zeppe took a few seconds to catch his breath, and to calm the rotten feeling he had in his gut, but he couldn’t chase away the image of Mrs. Nunzio. As he reached the top of the third floor, he half expected to be greeted by the sweet aroma of garlic coming from her kitchen. “Not on this one,” Dominic said, and stood to the side. Zeppe closed the door with the heel of his foot, never taking his eyes from Tommy. Tommy cocked his head toward Zeppe, lifting his eyes in a pleading gesture. “Zep, can you help me out?” His voice cracked when he asked. Dominic raised the gun to Tommy’s head and pulled the trigger. Twice. 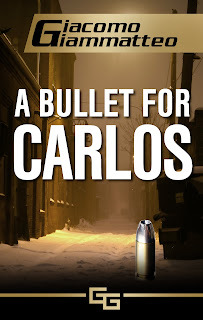 The small caliber bullets bounced around inside his skull, dropping him to the floor. There was little pain. Even less blood. Dominic knelt beside him, checked his neck and pulse. The two in the head had done the trick. Dominic crouched, pushed open the bedroom door and crept forward, his gun leading the way. Zeppe thought about the baby all the way down the stairs. Vito would be pissed; they should have known beforehand. He exited the building, crossed the street and called Vito. Zeppe waited through more silence. “Okay, you got it,” Zeppe said, and put the phone back on the receiver. Ain’t no way Dominic is leaving that baby. Dominic was a small man, but intensity always surrounded him, an aura of danger that even Zeppe wasn’t immune to. He had seen men far bigger than his brother back down after meeting his glare. “I don’t know, Dom. I heard she left him a few months ago, but I didn’t know about the baby. I swear. I wouldn’t have done this if I knew.” Shouldn’t have done it anyway. Goddamnit. “Okay,” Zeppe said, “whatever you want.” He took the baby from Dominic, and held her close. Zeppe wrapped the blanket around her, making sure to cover her head. “What the hell are we going to do with a baby?” He said it to himself, but Dominic answered. Dominic stared at the baby as Zeppe drove, letting his finger trace along her forehead. “She’s quiet for one so young,” he said, no trace of the vehemence that tainted his voice earlier. “Beautiful,” Zeppe said, but he never took his eyes from the road. When the little girl smiled, Dominic smiled with her, but soon afterward turned somber. He thought of the fate Maria suffered because of him. If anyone should have had children it was her, but she refused to marry Dominic because of what he was, and she refused to marry anyone else. He saw the pain when she sat at the playground and watched the children play. Pain she didn’t deserve. Perhaps this was God’s answer to his prayers. There would be birth certificate issues and people to pay off…but that could be arranged. The bigger problem was getting Maria to accept the baby and then making sure no one ever told the truth. That was the difficult one. Truth had a way of creeping through cracks and oozing to the top, no matter how deep it was buried. He knew he could trust Zeppe, and he could trust Maria…but something in his gut ate at him. This would take careful planning. Zeppe pulled up to a warehouse. Dominic got rid of the gun and changed clothes. Half an hour later he turned down the street to Maria’s house. After Zeppe parked, Dominic checked to make sure no one was watching then signaled Zeppe to bring the baby. They walked around the corner and up to Maria’s house. A few knocks brought Maria to the door, surprise registering on her face when she saw them. “What are you doing here?” Her voice not much above a whisper. Maria was the same as always—as plain as her tawny hair and as quiet as a church at night. “Came to see my beautiful friend,” Dominic said, and removed his cap. Dominic hugged her and kissed her forehead. 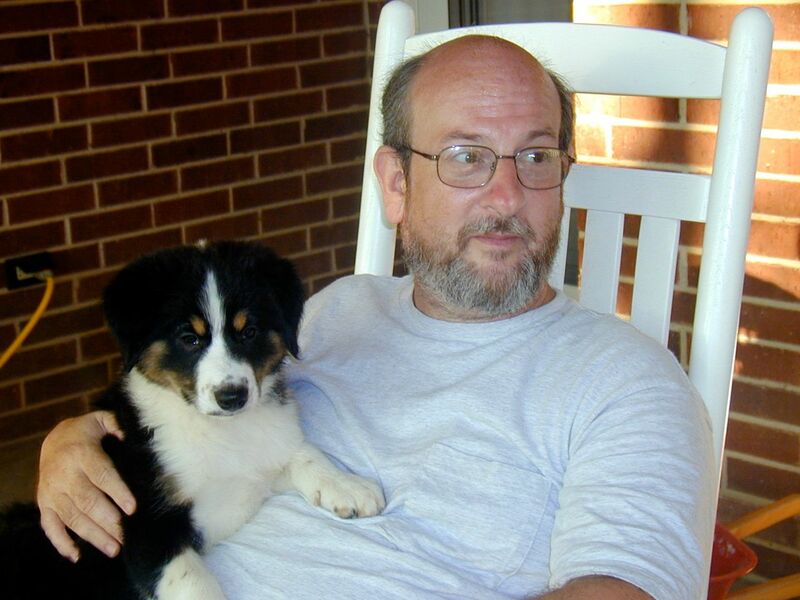 “I love that gray,” he said, then nodded to Zeppe, who handed the baby to Maria. “Don’t be ridiculous. I can’t keep her.” Maria made the statement, blessed herself when she said it, but a plea rode on her words. As the door closed behind Zeppe, and Maria walked to the kitchen, Dominic made the sign of the cross, asking God for forgiveness. It was one thing to kill a man—but to take his baby and claim it as a gift from God might be pushing things too far. That was the kind of thing that could haunt a person in both lives. And what will Maria do if she finds out the truth? Even worse, what will this little girl do if she finds out? Thank you to Giacomo Giammatteo and Partners in Crime Virtual Book Tours for generously offering this book for review. I agree, his characters and settings come to life. I was on the edge of my seat with this book. Very nice post. Thank you for sharing your thoughts! Gina: Thanks so much for sharing this with your readers. I really appreciate it. Thanks for stopping by! I’m always honored that you’d visit!